Welcome Timothy Lamb of Spectral Motion! Tim works in the special effects industry at Spectral. They worked on special effects in films like Hellboy. 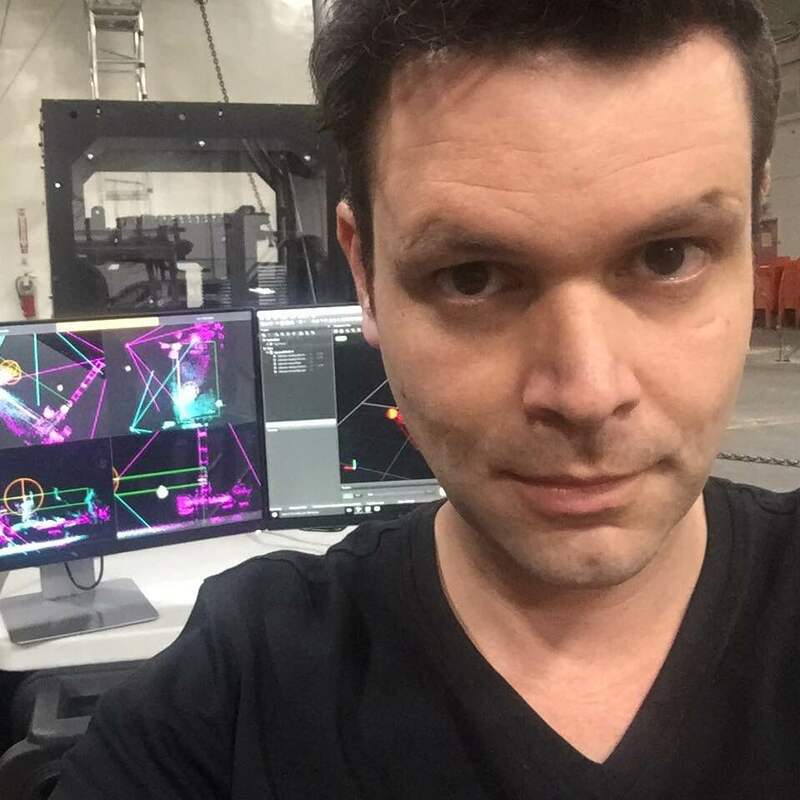 He has been working with Mark Setrakian who often prototypes using platforms like MaxMSP.Tim also helped to create some of the effects for the Robot Combat League which aired on SyFy. The rates in the industry are rather low. People often do it for passion. The Hellboy gun is in the lobby of the Spectral office. Some other peoeple try to replicate it on sites like the Replica Prop Forum. Adam savage has also talked about this before on Still Untitled. Adam was building his own version. DMX is a form of controlling lights for theater applications (among other things). This is a protocol that looks similar to RS485. Tim also performs “chip tune” music under the name trash80. There are some really catchy tuns over there! He wrote some code that used the game link: this became the arduinoboy, which is very useful for MIDI sounds. In the future, Tim would like to try his hand at projection mapping with moving targets, such as robots. #293? What happened to #292? Did we miss a episode? Ha, this was 292. Thanks! I posted this at 3 am local time, I must have been a little loopy. I got the DMX joke. I’d forgotten how much I enjoyed those.